People think a lot when it comes to hotel booking. They want the best price in the best possible location with the best amenities. They also wish freebies like free Wi-Fi and complimentary breakfast. Quite strange it may seem, but back then people booked Motel 6 rooms just because of their name! The founder-duo, Paul Greene and William Becker, who had vast experience in low-cost housing, wanted to start something in the hotel industry which would be amazingly affordable, yet would fetch some profit as well. 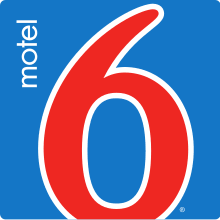 Many wonder how the name “Motel 6” was decided back at that time, was there any story behind this name or it’s just randomly put. Most people think that the name doesn’t mean anything special, “motel” means literally motel and 6 is just a random number to make the name sound cool. Nothing could be further from the truth. The name, of course, sounds cool, but the purpose of that name and the story behind that name is very interesting too. The founders who started Motel 6, had one thing in their head very clear – that they wanted to start a motel chain business which will offer the best possible room and services at the most affordable cost. So they decided a flat price for each room per day, was $4! It was indeed a meager price even by the 1962 standard (it was 1962 when Motel 6 opened its first motel officially). So they increased the rate by $1 initially and then another $1 later – the price was finalized at $6 per day per room. That’s the story behind the name Motel 6. Though the name is not very relevant by today’s rate, their price is still similarly affordable compared to what it was back at that time. The name “Motel 6” is not very relevant in 2019 of course. They don’t offer any flat rate regardless of the room type and location anymore as they did in 1962. And needless to say, that room rate has definitely gone up many times from that tiny $6. Right now, they charge differently in different locations, also the price varies based on the type of room and amenities being offered. Having said that, their room is still equally affordable if you consider the inflation in all these years. And compared to the other expensive options being offered in the same area, sometimes in the same street, Motel 6 provides the most bang for your buck. Motel 6 went through a major ownership change in 2012. The parent company Accor sold their share, and the Blackstone Group bought the brand. It changed the fate of the brand drastically, once a poor performer for a long time under the Accor Group, it went successful again with its new owner, the Blackstone Group. Blackstone is a much more capable company than the Accor Group in terms of liquid cash and other resources. Therefore the Motel 6 brand went through huge long-pending renovations across the country, and it helped the brand significantly to turn towards success after a very long time. And after just 6 years of the acquisition by Blackstone Group, in 2018, Motel 6 already tied-up with an Indian corporate to start their hotel operation in India.